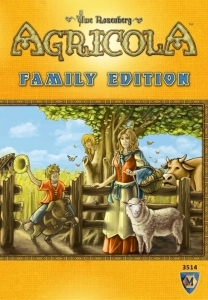 Each player starts with two meeples that can each take an action per round. There are multiple options, and while the game progresses, you'll have more: each round a (fixed) additional option becomes available. Each action can be taken by only one player each round, so it's important to do some things with high preference. The modern incarnation of a classic design, the Incom T-70 X-wing fighter is the signature combat craft of the Resistance forces in their fight against the First Order. 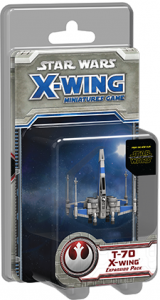 The T-70 X-wing Expansion pack for X-Wing comes with one pre-painted T-70 X-wing miniature, with which you can bolster your Resistance squadron, as well as four ship cards, five upgrades, one maneuver dial, and all the tokens you need to resist the First Order and its dark might! This expansion adds thirty-two unique kittens to the game in two new groups, allowing for play with up to six players (or teams). It also has color-reminder cards, and flavors. 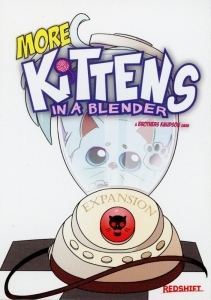 Flavors add a new dimension to the strategic play of Kittens in a Blender. If you are having trouble rescuing your kittens, you really really can't keep them out of the blender, throw some vanilla extract or strawberries into the mix and make a smoothie! It's a new way to score points toward victory, and now other players have to think long and hard before sending too many of your kittens toward the evil blender. 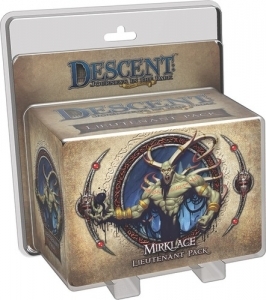 Bring your lieutenants to life with Lieutenant Packs for Descent: Journeys in the Dark (Second Edition)! With the Mirklace Lieutenant Pack, the overlord can unleash the full power of the demon mage from the Shadow of Nerekhall expansion. This Lieutenant Pack includes a detailed figure and a personalized Plot deck that highlights Mirklace's scorching presence. The Plot deck also allows the overlord to summon Mirklace into other campaigns and use his evil magic to annihilate the heroes. Both overlord and heroes gain new options with the threat and fortune tokens in this Lieutenant Pack.